The discovery of Biblical treasures and remains plays an essential role not only in history but also in proving that God exists. Among these treasures are the remains of Noah’s ark found in Turkey. How authentic are the remains? Evangelical Christian explorers claimed that they have found Noah’s ark and they are 99.9% sure that the debris they discovered is Noah’s ark the Bible mentioned in the Old Testament under the book of Genesis. The said remains were particularly found in Mt. Ararat in Turkey with the volcanic remains. In 2007 and 2008, the team that discovered the debris found 7 large wooden compartments buried at 13,000 ft above sea level at the peak of the mountain. One year later, the Evangelical explorers went back to the site for further investigation. 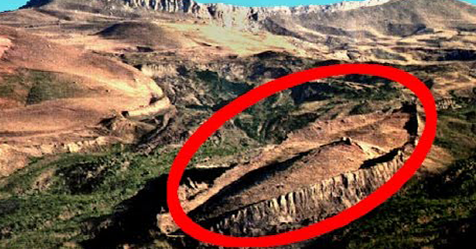 Further tests prove that the discovered woods were the materials used in building Noah’s ark. The radiocarbon dating result showed that the woods were dated 4,800 years old which coincides the time the great flood happened. Meanwhile, other experts were not convinced with the discovery. Todd Wood, the director of the Center for Origins Research at Bryan College in Tennesse, debunked the Evangelical team’s claim or the simple reason that the woods used in building the ark may have been torn apart since the people survived may have used the woods to build their home after the flood as there were no trees survived during the great flood. Moreover, Wood is also not convinced by radiocarbon dating experiment result which he believed that the wood was “way too young” for it to be claimed existed during the Genesis period.